A bean bag is great even for newborn babies. It can be used to prevent a flat head of the newborn and relieves baby from gas and acid reflux. When you send bean bag for newborn hamper delivery, expect that it is already pre-filled and ready to use. It is a sheer genius indeed for baby’s development, comfort, and security. Working parents will be at ease with a baby monitoring system installed at home. They can easily monitor and watch the baby even while they are away through the 2-way device. This device is also great to use at night while parents are in their room and the baby is in the nursery. There are quality brands to choose from, and most of them provide warranty and free installment. On baby showers, give this device and help the parents monitor their baby. It is easier to trim the baby’s nail now with this sheer genius device. It will not harm the baby because it has gentle but effective oscillating action and cushioned pads to protect the baby’s skin. There are two power settings to choose from to control speed. It comes with batteries, cushioned pads, and compact case for easy storage and portability. 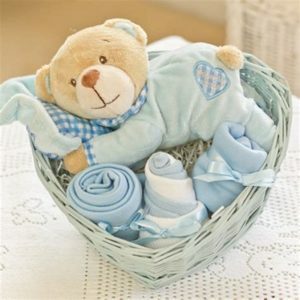 You can give this sheer genius baby shower gift on baby shower. A food and bottle warmer is a sheer genius baby gift item. It is not only functional but affordable as well. It can be used with a variety of glass bottles, even disposable bottles to warm breast milk, formula milk, and baby food. Auto shut-off feature is for added safety. In ergonomic design, this carrier provides different positions that are safe and comfortable for the baby. It is great not just for moms but for dads, too. For nursing, walking, strolling, and hiking, this baby gear is a sheer genius and perfect for Baby Hamper Onine.